LAFAYETTE, LA – Surveying the stage at Louisiana’s sprawling Cajundome, Jason Wilson was impressed by its sheer size. The vice president of operations at B&L Sound and Lighting, Wilson had more than a passing interest in the stage’s physical dimensions. 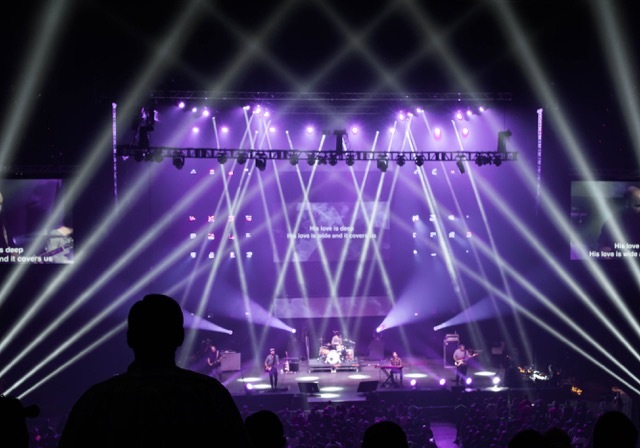 The event producer for the Louisiana Youth Evangelism Celebration, he led the team responsible for designing a lightshow for the two-day conference, which draws thousands of visitors from the Pelican State and beyond. The challenge facing the B&L team was to create a big presence on the wide stage while staying within budget. 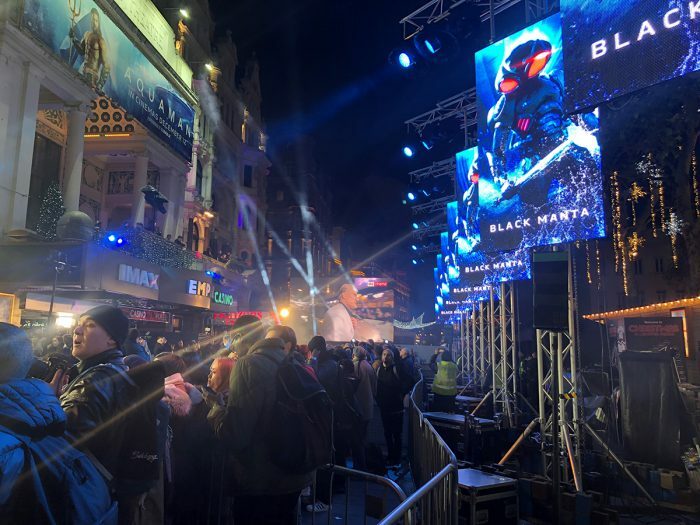 This challenge was met quite convincingly and with unmistakable flair using a collection of fixtures and video panels from CHAUVET Professional. Critical to the achievement of this goal was the creation of a defining design element with a massive video wall. Wilson and his team installed a tri-section LED video display made of PVP S5 panels over center stage. 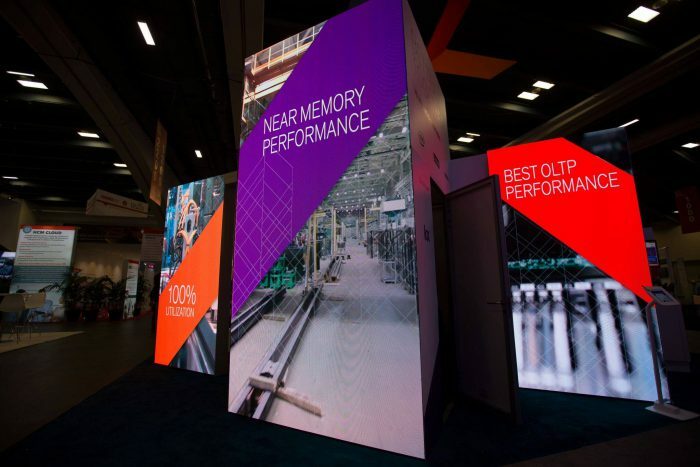 They divided the display into three sections: a larger middle wall measuring six panels high by 12 panels wide, and smaller upper and lower rectangular displays, each two panels high by 12 panels wide. With their 52 mm pixel pitch, the panels provide clear sharp images even for visitors in the front rows. By breaking up the display into the three equally wide sections spaced about four feet from one another, the design team added a greater sense of depth to the stage, especially when breakup patterns were displayed on all three units with text appearing only in the larger middle wall. With the PVP S5 panels in place as the anchor of the design, the B&L team faced another challenge. Early in the design process the team’s big concern was all the empty space on each side of LED display. They were determined to find a way to fill that space that would look harmonious with the video walls. The design team found what they were looking for in the Next NXT-1 pixel mappable moving LED panels. They positioned the panels in a grid on either side of the center stage video display. The smaller top and bottom video displays each had one row of four panels on either side of them, while the larger middle wall had four rows of four NXT-1s positioned on either side of it. Flanking the video display with the NXT-1 grid created the coverage the design team was seeking. They unified the large display further by sending 1080 video signals to the wall that was mapped for it as well as the NXT-1 panels on either side of it. 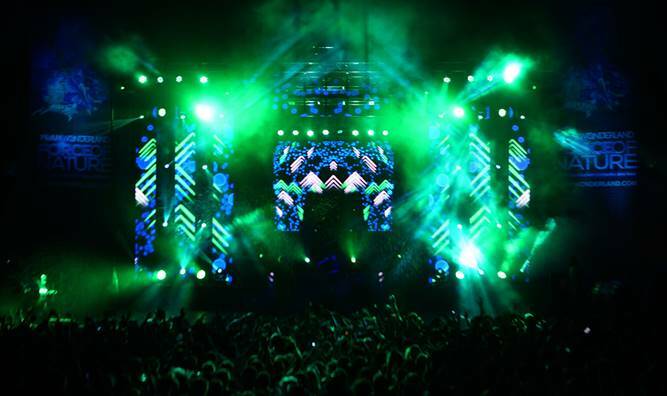 Adding to the eye-popping looks was a visual avalanche of intense multi-colored light from 28 Rogue R2 Washes, 36 Rogue R2 Beams and three ultra-bright Strike 4 warm white COB LED blinders. 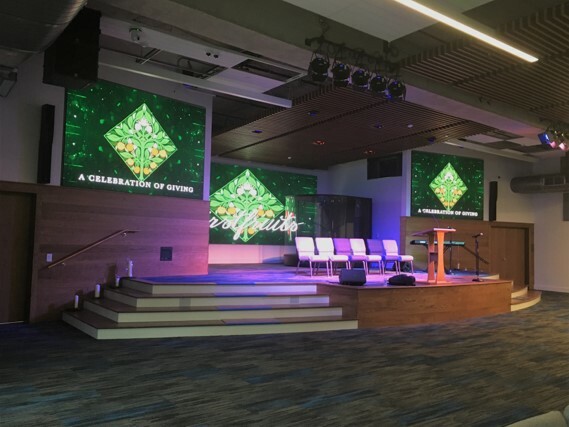 Most of these fixtures were positioned over the stage and used to light the audience, increasing its engagement level with the presenters, which included New York Times best- selling author Acton Bowen and two-time Dove Award winner Meredith Andrews.